Hello to the lovely readers of Abby’s blog! My name is Kelly Jensen, and I’m a blogger at Stacked, as well as Book Riot, and I’m running on the ballot for the 2016 Printz Committee. Abby was generous enough to let me talk a little bit about some of my favorite Printz titles in her space today. But rather than talk about my favorite winners, I thought it’d be fun to talk about some of my favorite honor titles. So here are three awesome Printz honor titles that if you haven’t checked out, you should. I know a lot of people look down at Rennison’s book as one that didn’t necessarily merit a Printz nod, but I beg to differ. While it’s not what we might consider high literary on the same level as a lot of other titles which have earned the nod over the years, the criteria for the Printz is simple: it’s the best book defined only in terms of literary merit. You know what makes this book earn an honor? The humor. Very few novels are able to sustain this level of funny throughout. It’s a much more commercial novel than many Printz titles, meaning only that it’s got a wider potential readership and that it’s got an easier/more sellable hook. That doesn’t mean that it lacks the same literary capacity as other titles do; it simply means that the angling is different. Georgia Nicholson is that 14 year old, boy-crazy girl you know, and her voice is not only memorable, but it’s consistent throughout this book, as well as the rest of the series (which is not relevant to this book’s earning an honor, but it’s a point worth bringing up). 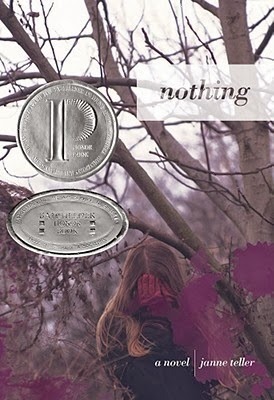 This book skews toward the younger end of the YA readership, but it’s one that is timeless; it earned the honor in 2001 and it still holds up in 2014. The literary merit here is less in how the words make music or how they create vivid, powerful images for the reader. The merit is through voice, through its consistency, and through the ability to maintain “funny” -- something surprisingly few books can do. While serving on the Outstanding Books for the College Bound committee in 2013, Partridge’s book was one that I had to read, since it had been on the prior incarnation of the list. I’m not a Beatles fanatic, so I didn’t think it would be a title that resonated as much with me as it did. It’s interesting that there were more non-fiction titles that earned Printz honors before the development of YALSA’s Non-fiction award, the ENYA, but I think were this title published today, it would still be a top contender for the Printz. Partridge’s book is a photobiography of John Lennon which gives readers an in-depth look not only at his life, but at who he was beyond what it was that he did. 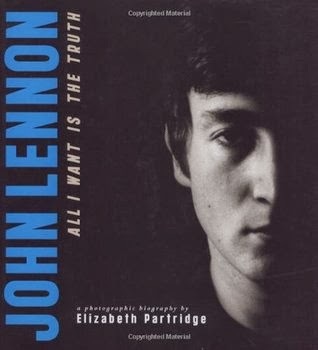 The photos work with the text, rather than compete with it, and the insight into Lennon as someone with an ugly side made me appreciate the honest -- yet still respectful -- writing. Where it could have been easy for this to turn into a biography that upheld Lennon’s status as a hero or a legend because of what he did and who he was as a Beatle, Partridge chooses not to pursue that; she goes deeper. While appeal is not a factor for the Printz committee, this is a biography that has wide teen appeal, not just because of the topic at hand, but also because of the format. It’s a book that’s put together very well and the construction and consideration given into the presentation is clear. This is a weird little book. This is a weird, dark, twisted, confusing, and yet completely compelling little book. Teller’s novel is an outstanding translation of a work originally written in Danish and it tells the story of Pierre Anthon, whose nihilism causes great concern, tension, and trauma on the part of his classmates. This is a book that’s about not just one student’s beliefs, but it’s about how that one set of beliefs can impact a larger group and how that group chooses to react and respond. When I first read this book, back in 2010, I didn’t get it. But the longer I’m away from it, the more I’ve come to realize that not only do I “get” it, but it’s a book with tremendous staying power because it is so utterly hopeless. This is a story with no happy ending and it’s in that risky choice of storytelling that Nothing stands out. Between the excellent writing -- again, a translation -- and the ability to tell a story that captures bleakness, herd mentality, and so much more in a relatively small amount of pages, it’s not a surprise why this earned a Printz honor. Kelly Jensen has worked as a teen and youth librarian in Illinois and Wisconsin since 2009, which is when she began blogging about books and reading at stackedbooks.org. 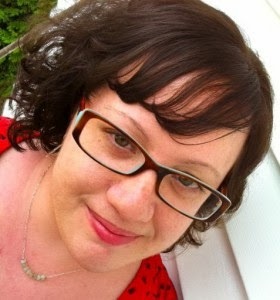 She also writes at Book Riot (www.bookriot.com), and she's had her writing featured in VOYA Magazine, The Horn Book Magazine, School Library Journal, BlogHer, as well as The Huffington Post. She has a degree in English, writing, and psychology from Cornell College in Mount Vernon, Iowa, and she earned her masters in information studies at the University of Texas in Austin. Her first book, The Real Deal: A VOYA Guide to Contemporary Fiction for Young Adult Readers will be published this summer by Voya Press. Thanks so much to Kelly for stopping by and sharing some of her favorite Printz honor books with us. Don't forget to cast you votes in the ALA Elections! !